← “Tinsel,” by Hank Stuever, and other Christmas musings. 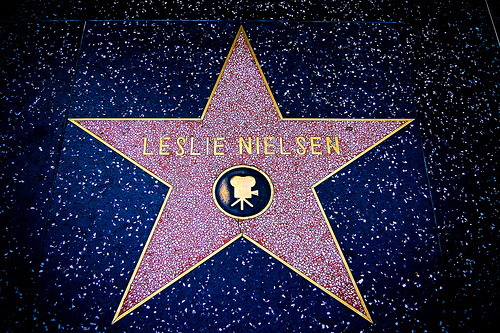 Part of my holiday weekend was a self-imposed media blackout; often enough, it’s refreshing not to know what is going on, and so it was only this morning that I learned that Leslie Nielsen is gone. There are precious few movies that stay fresh after three or four viewings, and almost any of his silly flicks will have me in stitches though I have seen them numerous times. Laughter and good humor – what a gift in this world! This entry was posted in Characters, humor, Movies and tagged fictional characters, humor. Bookmark the permalink.